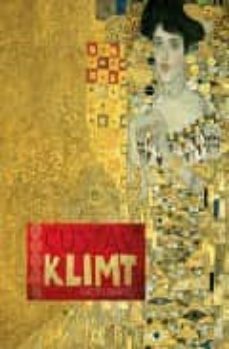 In June 2006, the Neue Galerie in New York purchased Gustav Klimt's 1907 Portrait of Adele Bloch-Bauer I for $135 million. This deposed Picasso's Boy With a Pipe (sold May 2004 for $104 million) as the highest reported price ever paid for a piece of art sold at a public auction. However, Gustav Klimt (1862-1918) was a controversial figure in his time. Far from being acknowledged as the representative artist of his age, he was the target of violent criticism - his work sometimes being displayed behind a screen to avoid corrupting the sensibilities of the young. Today, Klimt's works are recognized as masterpieces and stand out as some of the most significant paintings ever to come out of Vienna. The Byzantine luxuriance of form, the vivid juxtaposition of colours and the rich symbolism, sensuality and eroticism of his work have made Klimt one of the most popular artists in the world. Arranged thematically, the 130 giant-size reproductions of Klimt's most important work are accompanied by Rachel Barnes' expert and insightful commentary on all aspects of the artist's life, influences and paintings - from the inspiration and provenance of each painting, to the technique used to create it and a list of exhibitions. Featuring some of the most iconic, important (and valuable) artworks of the late 19th/early 20th centuries, such as the Judith I , Portrait of Adele-Bloch-Bauer I and II and The Kiss , this is a book that Klimt enthusiasts and art lovers will cherish.